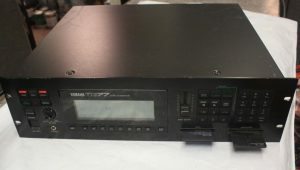 “Yamaha TG77 Rackmount Tone Generator in Excellent Used Condition. “Zum Herumstehen einfach zu schade. 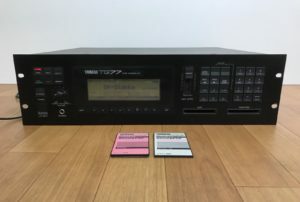 Yamaha TG77 Soundexpander/Racksynthesizer incl JSPA Soundcard wegen Hobbyaufgabe zu verkaufen. Normale Gebrauchsspuren vorhanden, technisch einwandfrei. Die technischen Daten könnt ihr im Netz erfragen. Bei Rückfragen gerne melden. Das Gerät kann auch gerne vor Ort nach Terminabsprache getestet werden. “Condition note: There is no problem in operation. “Very good condition ++, fully working with manual and original box/packing. Only limited home use. A few minor marks – see photos. “Works. Unfortunately it looks like the backlight is out. This is extremely common with these and fixable but I don’t want to deal with it. 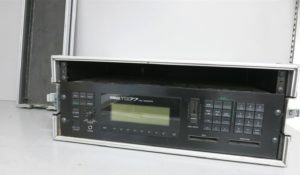 “For auction is a Yamaha TG77 synth module. 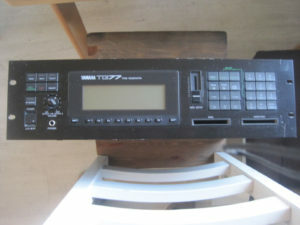 “I am selling my Yamaha TG77 AWM/FM Tone Generator. 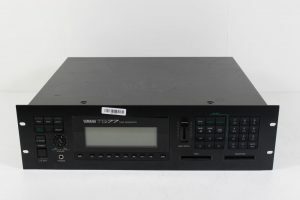 “Rack-mounted equivalent of the SY99. Successor of the legendary DX7 series of FM synths. Great for Pads and Basslines. The TG77 extends the 6 operator FM concept by adding sampled waveforms to the mix, either layered or as modulation source. optisch schon etwas angekratzt, aber technisch ok.